Saga withdraws platinum credit card – are you affected? Saga announced that it will be pulling its Platinum Credit Card from the market this March, leaving customers only a couple of months to clear any outstanding debt. The popular travel credit card offered customers no currency conversion fees, 55 days of interest-free cash withdrawals and exclusive discounts on Saga holidays and cruises. 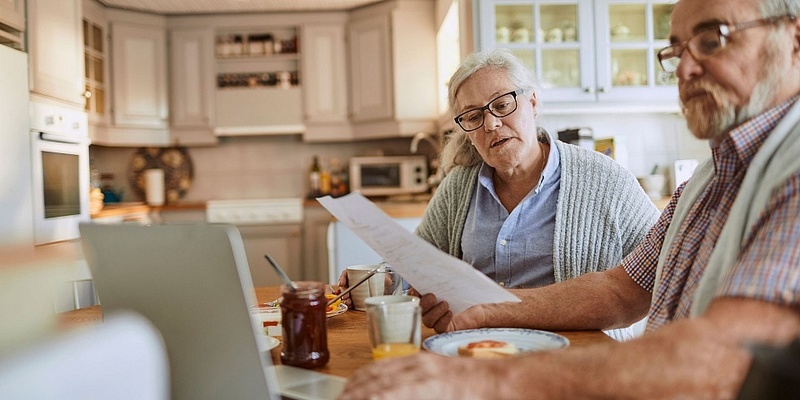 Last week, the over-50s financial provider wrote to cardholders informing them they’d have until 28 March 2019 to clear their balance. Here, we take a look at what the end of Saga’s Platinum Credit Card means for customers and what to do if you’ve been affected. Why is the Saga Platinum Credit Card being withdrawn? 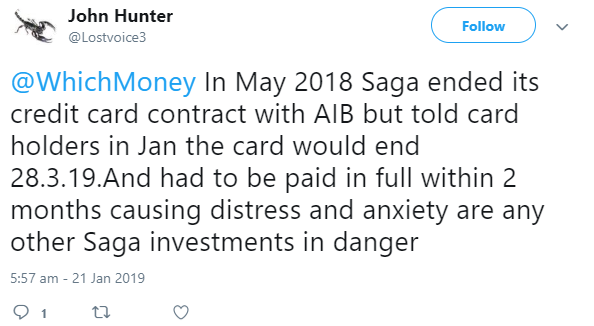 On 28 March 2019, Saga will end it’s long-standing partnership with Allied Irish Bank (AIB), who are the provider for the Platinum Credit Card. The end of this partnership means Saga will be taking its credit card off of the market. Saga told customers last week they had until the deadline to clear their balance or transfer it on to another card. Those customers who aren’t able to do so will have their debt passed onto a third party. Since receiving letters from Saga, several customers got in touch with Which? to express their concerns about the card being withdrawn and the limited amount of time given to clear debts. Wendy and her husband Ian, both aged 65 from Hampshire, were among the customers affected by Saga’s card withdrawal. The couple, who have used Saga’s Platinum Credit Card for over a decade, believe it’s helped them save a lot money over the years. Wendy told Which? 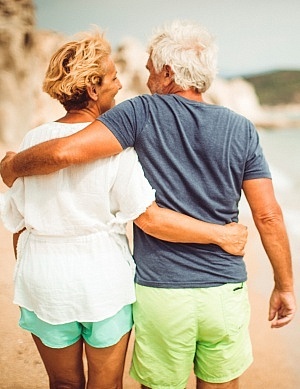 : ‘My husband and I are retired and travel quite frequently together and with our family as well. ‘We rarely use travel companies and try to arrange most of the trips ourselves so Saga’s Platinum Credit Card helped us a lot. Wendy and Ian found the card especially helpful for managing their spending in local currency, as it didn’t charge a conversion fee and also offered interest-free cash withdrawals for a certain number of days. ‘This was really important to us, as we don’t like carrying around large amounts of cash when we’re away. Since being notified about the card being withdrawn, Wendy and her husband have found a replacement card for their holiday spending. One issue they faced, however, was finding a credit card with an equivalent maximum spending limit. We asked Saga what will happen to affected customers. A spokesperson from Saga told Which? : ‘The long-standing arrangement with our current credit card provider (AIB) comes to a natural conclusion on 28th of March and therefore the Saga Platinum Credit Card will close on this date. ‘In line with the customers’ terms and conditions, if there is an outstanding balance on the card, customers will have a 60-day notice period to either settle the balance or transfer their card balance to a new provider. Customers may have to pay a higher interest rate if their outstanding balance is passed on to a third party after the deadline, although Saga has confirmed that the existing terms and conditions of the card will be protected. Paying off your balance is the easiest way of clearing your debt and avoiding any interest and fees. Our credit card repayment calculator can help you work out how much you’ll need to pay each month (including interest) to ensure that your balance is cleared on time. If you’re struggling to pay off your debts, there are a number of free debt advice organisations that offer impartial help and support to get you back on track. If you don’t think that you’ll be able to pay off your debt in full by the deadline, you could consider getting 0% balance transfer credit card. As the name suggests, this deal allows you to move your outstanding balance from one card to another, to help you repay it at a cheaper or even interest-free rate. Can lenders close your account whenever they like? If a lender decides to withdraw a product from the market, they are allowed to do so provided they stick to the terms and conditions you sign. The terms will specify the period of notice a lender has to give you when closing the account and how you’ll have to deal with any outstanding balance. It’s important that you check the terms and conditions of any financial product that you apply for before signing up. If you have any queries, be sure to get in touch with the customer service team for clarification. We’ve rounded up the cheapest travel credit cards to use when you’re on holiday in the table below. The Barclaycard’s Premium Cashback Plus credit card is the only product to offer interest-free cash withdrawals abroad, though it has a relatively high APR of 21.9%. As long as you clear your balance each month, the card doesn’t charge any fees on spending or cash withdrawals overseas until 31st August 2023. You can also earn 0.25% cashback on all spending until that time too. The Creation Everday Card has the lowest APR (12.9%) of the cards currently on offer. Meanwhile, the Halifax Clarity Credit Card offers another fee-free spending option for holidaymakers with a slightly higher APR of 18.9%. **2. Pay no interest for up to 56 days as long as you pay off your balance in full each month otherwise you will pay 27.9% APR. These credit cards that don’t charge any fees for overseas spending or cash withdrawals. Just watch out for the interest on cash withdrawals as this will normally kick-in straight away with the majority of cards bar one. The table is ordered by cash withdrawal APR interest. Check out our comprehensive credit card guide for help and tips on finding the best deal. You can also compare more of the best credit cards to use abroad on Which? Money Compare.